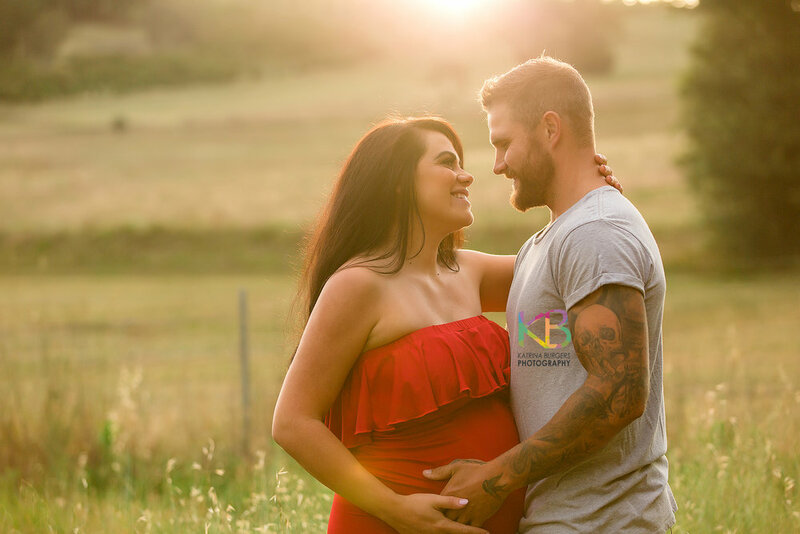 This beautiful little family booked in for a combined Maternity and Newborn session, also known as a Belly to Baby Session and all I can say is WOW! This Mum to Be was 34 weeks at her Maternity session, it rained all afternoon on and off and it was down to half an hour before the session that we decided to go ahead! I am so glad we did, the light was stunning! Little Austin arrived a couple of days early for his parents, he couldn't wait to meet them! At his session he was 12 days old, and his Mum featured some traditional Aboriginal face paint on him, he is a Wongaibon baby born on Ngunnawal land.